With an eye on next year's general elections, Tourism Minister KJ Alphons has reached out to the Christian community to highlight the achievements of the Narendra Modi government. Alphons, considered to be the Christian face of the BJP-led government, has written letters to more than 300 bishops across the country and while wishing them for Christmas, he has listed the work done by the government for the "downtrodden". "Happy Christmas. May the peace and joy of the Lord be with you and your diocese. More than ever, the world needs to get together, and not build walls. I take this opportunity to place on record the good services being rendered by the Church in the field of education, health care and welfare of the downtrodden. "It has been my privilege to serve the people of India as the Minister of Tourism under the leadership of the Honorable Prime Minister. In all humility, kindly permit me to list some of the things Modi government has done for the downtrodden," Alphons said, listing ten such things. The list includes construction of 95 million toilets, distribution of 58 million LPG cylinders, opening of 300 million bank accounts for the weaker sections, 26.3 million houses, free medical treatment for the poor up to Rs 500,000, life insurance policies and accident cover of Rs 200,000 for them, among others. 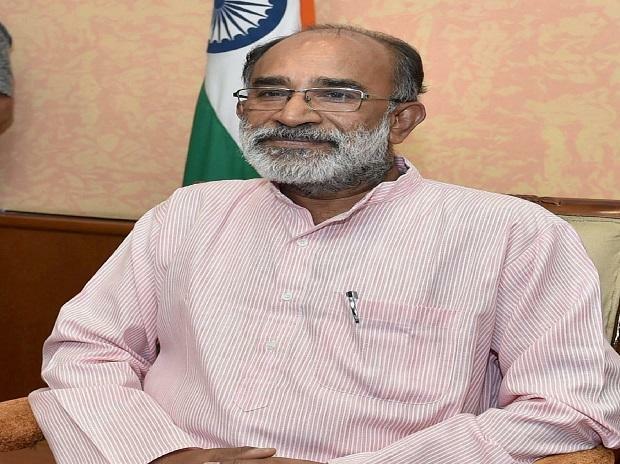 Sources close to the minister said that he writes to the bishops before every Christmas, however, this time around with elections round the corner, Alphons has made a special effort to reach out to the community. "Whenever the Church had an issue, I have taken it up with the appropriate authorities and most often we have been able to find a solution," the minister said in the letter.